Reiki (pronounced “RAY-key”) is a Japanese technique for stress reduction and relaxation that also promotes healing. It treats the whole person including body, emotions, mind and spirit, creating many beneficial effects that include relaxation and feelings of peace, security and well-being. Reiki healing is the channeling of universal Qi or prana. It work on all levels – physical, mental, emotional, and spiritual. It can help with physical pain, insomnia, depression and relaxation. It is successfully integrated into numerous clinical settings to complement medical care and psychological counseling. Reiki energy is purely beneficial; but, it should not be used to replace conventional care or to postpone seeing a health care provider about a health problem. Ileana is a Reiki Master/Teacher in the Usui Shiki Ryoho Reiki tradition. Private healing is available in the Coral Springs and Parkland area. Contact me for pricing and availability. Free Reiki for Cancer sessions are available at my home studio in Coral Springs. While the program is free, you must register to be assigned a slot. Contact me for availability. Reiki is an ideal complement to medical care. Reiki is non invasive and cannot harm, yet yields powerful results. Research has proven it helps reduce anxiety, stress, pain, fatigue, and other issues related to cancer treatment. According to The American Cancer Society, Reiki is a safe complementary cancer therapy. Their website acknowledges patients’ subjective reports of Reiki’s ability to speed healing and increase their sense of well-being. Like massage, Reiki induces relaxation, lowers heart rate and reduces stress levels. Studies indicate that people heal better if they can remain in a low stress state. Reiki involves a light touch or no touch at all. There is no tissue manipulation. Recipients remain clothed while energy flows above and into their body. For people with multiple tumor sites, Reiki offers a chance to tap into the healing power of relaxation without any contraindications. 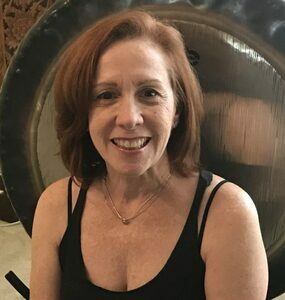 Ileana co-facilitates a healing workshop with Tamara Ronkin called “Healing through Yoga Nidra, Reiki & Sound Therapy”. Each workshop offers a unique theme. See Schedule for upcoming workshops. It is important to note that Reiki is not an alternative cancer treatment. It is not used to cure cancer or in place of treatment. Reiki is a complementary therapy, used to ease the emotional and physical side effects of any treatment. 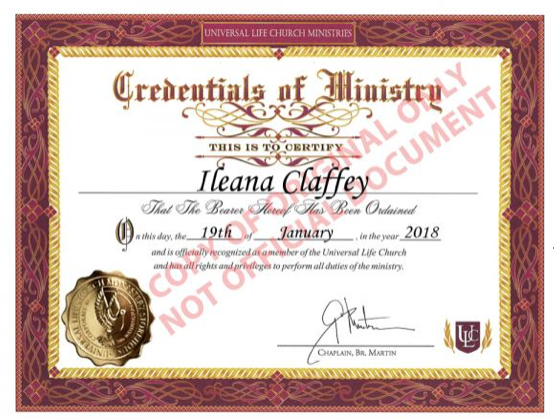 I am ordained with the Universal Life Church for spiritual energy work like Reiki. The ULC is non-religious, welcoming all backgrounds and belief systems.